This ptsd treatment is in your hands. These are skills and techniques you can learn and use on your own to be in charge of your own healing. You don't have to suffer in silence any more. This is no miracle cure or quick fix, but in many cases it really does work very well. Military veterans and others with PTSD symptoms have used and benefited from these techniques that you can do in the comfort of your own home, with or without professional support and consultation. The power and freedom are in your hands, and in your mind. Your natural self-healing processes are far more powerful and effective than you have ever known. You have nothing to lose by trying! Let's get started. Based on the research of Dr. James Pennebaker of the University of Texas at Austin, this approach has been found to be effective for easing and alleviating ptsd symptoms for military vets and others dealing with post traumatic stress disorder. Ideally, get a blank journal book specifically for this purpose. If you prefer, you can just use a notepad or your computer. This activity needs to be done in private, where there will be no interruptions. The journaling process is described here, and it basically consists of writing a detailed account of any and all trauma that you have experienced. As much specific detail as possible is very helpful in the writing. You need to write for at least 15 minutes at a time, daily over several weeks, until all of the past trauma is described. This gives the "languaging" part of your brain access to the part of your brain that is storing the emotional trauma, providing healing and resolution. 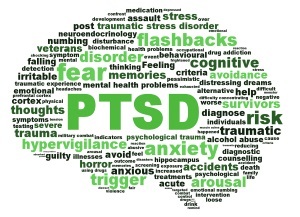 This type of ptsd treatment is not necessarily easy or fast. But then, there's really nothing easy about ptsd to begin with. Our goal is to give you some do-it-yourself methods for managing and healing your ptsd symptoms without spending a lot of money or taking strong medications. Here is your chance to become your own best anger management resource. 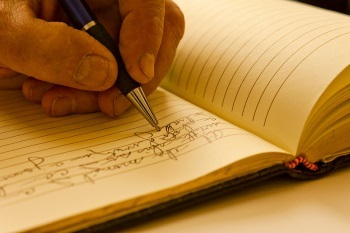 This imagery technique goes right along with the journaling process described above. Once you have written a full, detailed account of what happened and how you felt during it, it's time for some emotional healing. Rather than repeating what is already written on another page on this site, I will refer you to that page for a full description of the guided imagery process for emotional healing. Read that full article here. Bring comfort, soothing and support to the traumatized part of yourself. Form new neural connections in your brain that will help you manage all types of stress better. Activate and empower the healthy adult part of yourself as you offer help to your traumatized self. Access and activate new emotional energy that will make it easier for you to be loving, powerful and kind. Often we find that childhood trauma is underlying adult trauma, making it difficult if not impossible to heal the adult trauma until the childhood issues have been addressed. 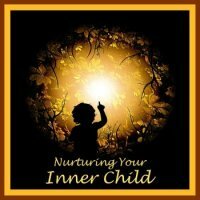 Preview Nurturing Your Inner Child below, to see if this may apply to you. These ptsd treatments work, if you use them. Like any tools, they are useless if you don't. And also like any other tools, the more you use them the better they will work for you. Learn about other available treatments for ptsd.